Another impressive couple of weeks! I am now well into my fifth week here in Guatemala doing my best to learn Spanish and immerse myself in the culture. It’s going well, but I’m definitely feeling a tad homesick, the German in me wants more punctuality and rule following than what is commonly lived here (along with paved streets and wider sidewalks). It’s all good though! Living here definitely is making me appreciate the life that I am blessed with in the United States and I will take that gratitude with me when I return in August. Two weekends ago I got to check off a bucket-list item. 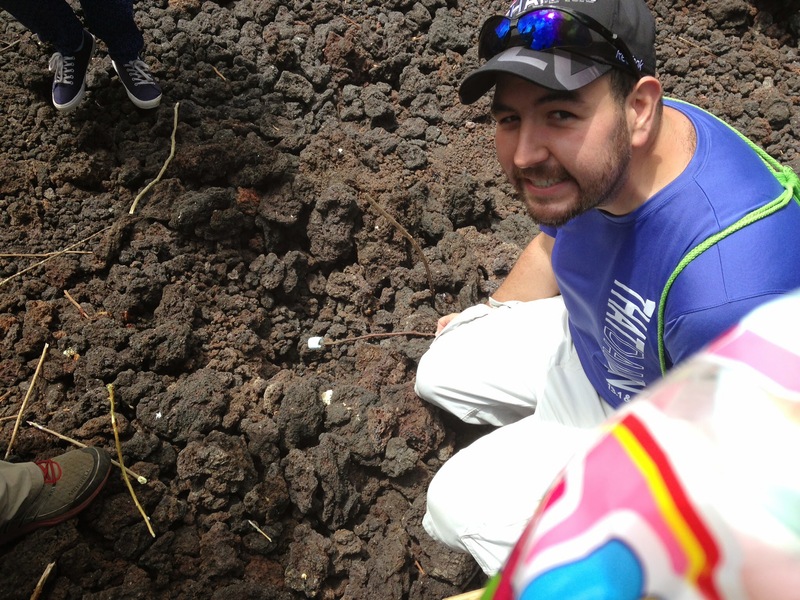 I hiked a volcano! 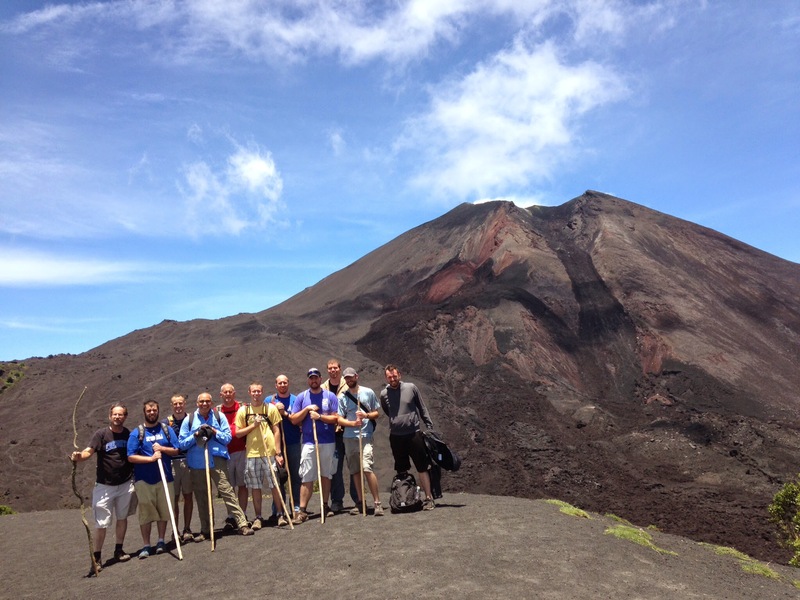 (well in actuality we didn’t hike THE volcano, but hiked as close as we could). We hiked Volcan de Pacaya, which is an active volcano in the southern part of Guatemala. It is one of the most common volcanoes for tourists to climb because it is the safest (robbers sometimes frequent some of the lesser hiked volcanoes). 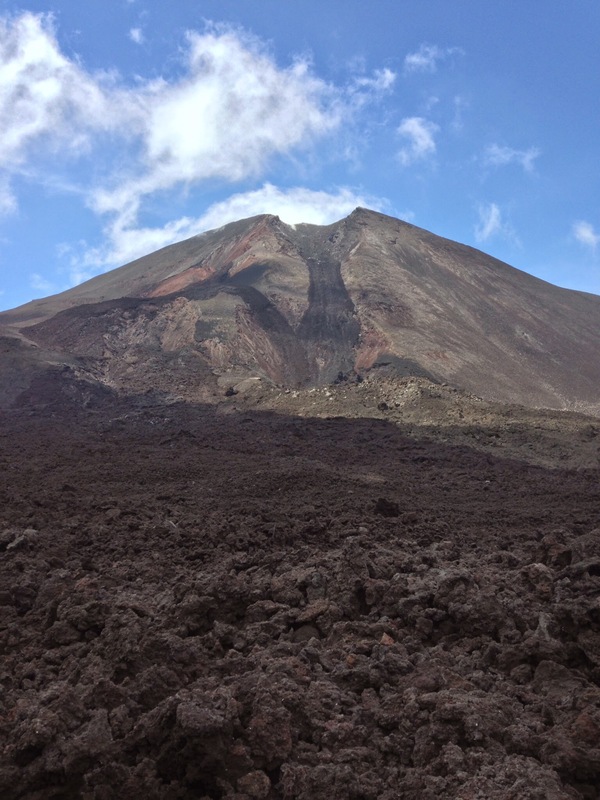 The last major eruption of Volcan de Pacaya was in March 2014 (just 3 months ago!) and we even wandered out onto the lava bed that the volcano created then. The lava bed had residual heat beneath it that in some areas we were even able to roast marshmallows and ate S’mores. It’s truly incredible what our Earth is capable of! 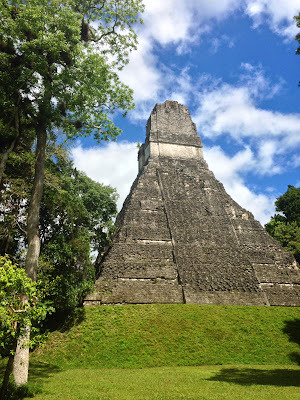 This past weekend was also filled with adventures as a group of us traveled to the northern part of Guatemala to see the ancient Mayan ruins of Tikal. Some of these ruins were built around 8,000 B.C. and are still standing today! We spent a day in Flores (on an island in a lake near Tikal) and just enjoying a bit of vacation (we stayed in a hotel with AC). We got to eat supper at a restaurant and watch the sun set over the lake. Very beautiful. The day in Tikal was absolutely stunning. It’s quite literally in the jungle in Central America. It was incredibly humid and the heat index was roughly at 105ºF. We had a guided tour around the ruins and got to see all of the major temples and places the Mayans would have lived and were told the history of the ruins. We even got to see a bit of wildlife, we saw a couple spider monkeys, a tarantula (which was sure to stay a number of feet away from), and heard howler monkeys in the distance. 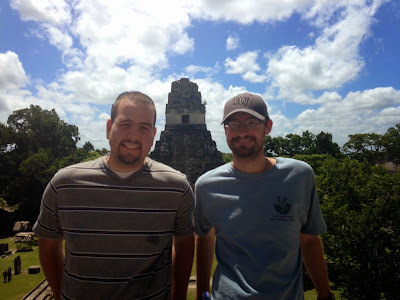 We were able to climb a few of the temples and see the impressive view over the jungle and just marvel at the engingeering and intelligence of the ancient Mayans. Their mathematical and astronomical knowledge would have been on par with our modern understanding. 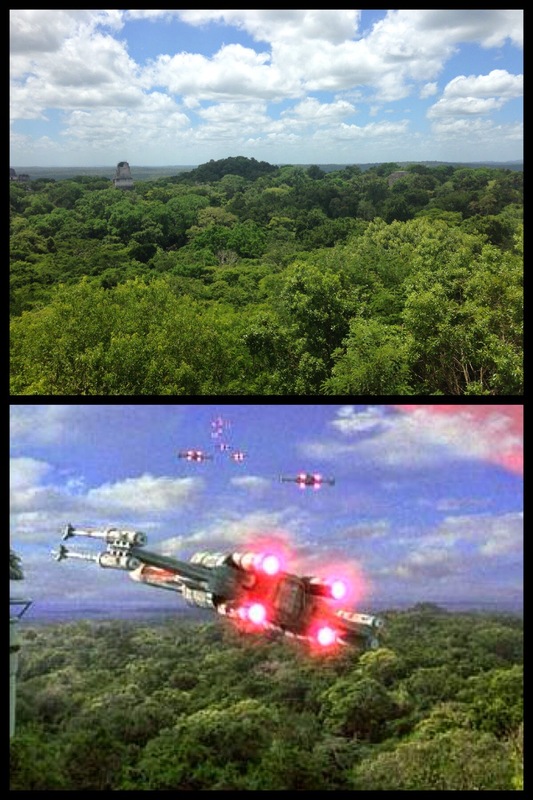 Tikal is truly an incredible place to visit and I do not regret the crazy travel that it took to get there. We took two overnight buses (8 hours to get from Guatemala City to Flores) and when we were getting back to the bus station at the end of our time in Flores, we crammed 7 people in a taxi… eh, it’s Guatemala, these things just sorta happen without missing a beat. The Star Wars nerd in me rejoiced when I got to see the same place where the Rebel Base in Ep 4 was filmed (at Tikal)! Please continue to keep all of us here in Guatemala in your prayers. A number of seminarians are finishing up their time here and are headed back to the USA, but we still have three and half more weeks of learning. As the weeks keep going it will be difficult for us to keep focused, so pray for our ability to absorb as much Spanish language as we can in the next few weeks! We’ll be back stateside before you know it!